All the Indigo DemoCamps have been scheduled. The next round of DemoCamps is planned for November, 2011. 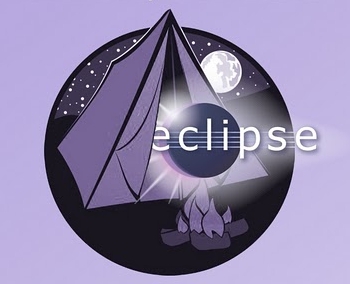 From June 1-30, 2011, we are inviting individuals to organize and attend Eclipse DemoCamps around the world to celebrate the Indigo release at the end of June. The Eclipse DemoCamps are an opportunity to showcase all of the cool technology being built by the Eclipse community. They are also an opportunity for you to meet Eclipse enthusiasts in your city. A DemoCamp is an informal event for a group of Eclipse enthusiasts to meet up and demo what they are doing with Eclipse. The demos can be of research projects, Eclipse open source projects, applications based on Eclipse, commercial products using Eclipse or whatever you think might be of interest to the attendees. The only stipulation is that it must be Eclipse related. We especially want to hear about your work with Indigo projects! Amsterdam, The Netherlands - June 28; Location: Microsoft B.V.
Pécs, Hungary - June 30 19:00; Location: Café Paulus, 7624 Pécs, Ifjúság útja 6. This page was last modified 06:02, 8 July 2011 by Pawel Pogorzelski. Based on work by Anne Jacko, Elias Volanakis and ratish and others.